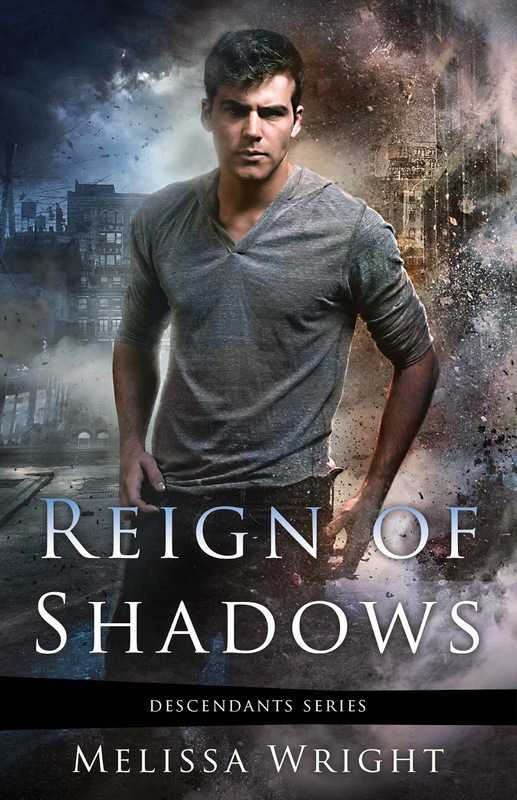 Welcome to my stop for the Excerpt Tour for Reign of Shadows by Melissa Wright! 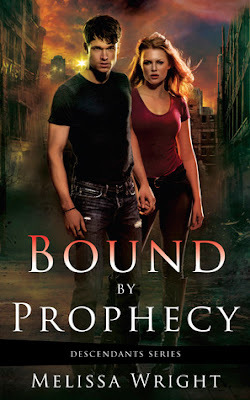 You can see my review of Bound by Prophecy here and Shifting Fate here. 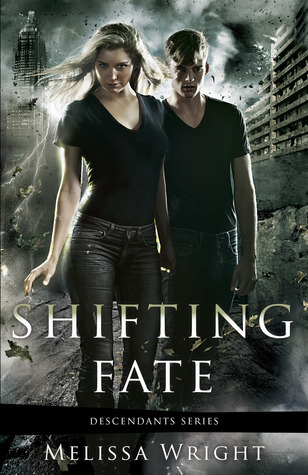 I really love this series and can't wait to find out what happens in this third book!!! She let out a quick breath, the horror of the vision giving way to the realization of what it meant. “He’s not dead, Logan. Brendan …” But she didn’t want to say, didn’t want to explain that he was so close, so near death. Gods, what had they done to him? Hands shaking, she wiped her palms on the leg of her jeans. “I just …” She didn’t know, didn’t have the slightest idea what it meant, where he was. Her head shook numbly. It was a message. He’d wanted her to see it, wanted her to know that Brendan was alive. That they were killing him. “He was there. The man, the one from the warehouse.” She swallowed against a tight throat, sorting through the images. What was she supposed to do with it? Did he want her to find them? All he’d have to do was show her, let her see where. But he hadn’t, only flashed the scene of Brendan’s body, bloody and bruised as he was dragged through a building. Was he taunting her? Logan’s grip loosened, sliding down her arms. “Is that,” he raised a hand to her face, gently brushing the hair back from her cheek, “it wasn’t a prophecy, was it?” He’d seen the difference, the flicker in her pupils replaced by something else. A vacant stare if she had to guess. This was beyond Logan’s realm, and he didn’t like not having an answer, a way to protect her. “We’ll find him, Brianna.” His free hand slid down to hers, squeezing a fraction too tight, and he tucked her stray hair behind an ear. He sighed. “We can’t leave him to …” He broke off, frustrated at their lack of information, and said, “Whatever he’s doing, Brianna, it’s wrong. We have to find him. He held you captive. He was working with Morgan.” His list stopped as he realized they had the key. It wouldn't always be nice to see the future, but it definitely would be interesting! No, I rather not see the future. I' ll go nuts trying to prepare. You have to enjoy what's in front of you. Live for today! No i would not want to see the future, prefer taking life a day at a time. I really like the colors on this, it is very eye catching! I think it represents the title pretty well. It would be interesting, if a little scary. That's me too. I'd be too worried about my kids! It seems we're getting about half and half here with those that do and those that don't want to see the future. Thanks for sharing the excerpt! This series looks so good! I just need to read it now! Sounds like a good one. And it has an AWESOME cover! Hmm. That's the brunt of the question, isn't it? Would you want to change the future if you could and would you really want to know what the future holds? Thanks for sharing! I would love to be able to see the future! Even if I can't change anything, I'd still like to know so I can be better emotionally prepared for whatever's going to happen. Thank you for the giveaway; This is such a neat concept!! sorry but no way would i want to see the future. ESPECIALLY not if i couldn't change anything about it. what would be the point?? i can see how it would make for an entertaining book, but it's not something i would ever want in real life. It would be nice to know what to be prepared for and when. Thanks for sharing! The MC doesn't really like seeing the future either, so you have that in common. :) It's not like she can see everything or know exactly everything and the actions of today change the future of tomorrow.